We had a super successful family paint night. Miss. 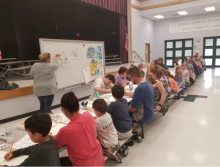 Woodburn lead the families on how to draw either a giraffe, turtle or flowers, then gave a brief overview of how to use watercolors and work with the elements of color. On April 2nd, Hocking Hills Elementary conducted its monthly PTO meeting. During this meeting the "Students of the Month" for February and March were recognized. 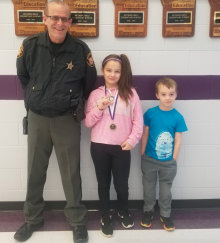 Hocking Hills Elementary School Resource Officer, Deputy Wallace, has implemented an incentive program called the "Honorary Deputy of the Month" award. Hocking Hills Elementary receives Ohio Department of Education High Progress School of Honor recognition. 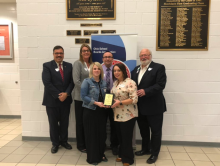 Thornville - Hocking Hills Elementary School from the the Logan-Hocking Local School District in Logan was recognized at the Ohio School Boards Association's Southeast Region Spring Conference. The conference took place at Northern Local's Sheridan High School in Thornville on March 26. 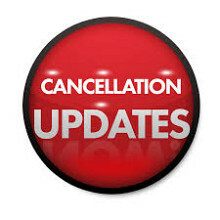 Hocking Hills Elementary will be closed Monday, February 25th due to a power outage. All other Logan-Hocking Schools will be running on schedule. 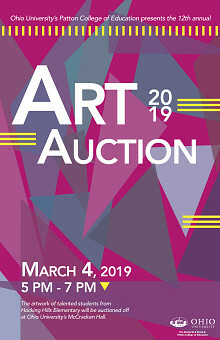 On March 4th, from 5pm to 7pm, at Ohio University (McCracken Hall), Hocking Hills Elementary students' artwork, which has been displayed in McCracken Hall since the beginning of November, will be silently auctioned off. Proceeds will be split between the student artists and Hocking Hills. The public is invited to the auction. Refreshments will be offered. On February 5th, Hocking Hills Elementary conducted its monthly PTO meeting. 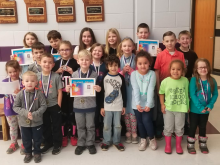 During this meeting the "Students of the Month" for December and January were recognized. Each student received a certificate and a medal. 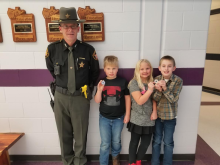 Hocking Hills Elementary School Resource Officer, Deputy Wallace, has implemented a new incentive program called the "Honorary Deputy of the Month" award. 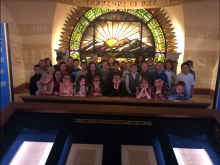 Hocking Hills Elementary Fourth Grade students of Mrs. Shepard and Mrs. Stivison visited the Ohio State House in Columbus. The students enjoyed a tour of both the House and Senate chambers, the Rotunda and the interactive museum. Representative Hood sent a representative to talk to the students before their tour. 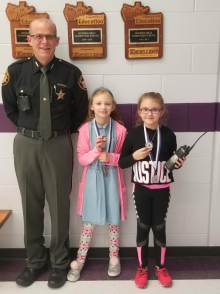 Hocking Hills Elementary School Resource Officer, Deputy Wallace, has implemented a new incentive program called the "Honorary Deputy of the Month" award. This award goes to students that are showing exemplary behavior, responsibility and demonstrates care for others.